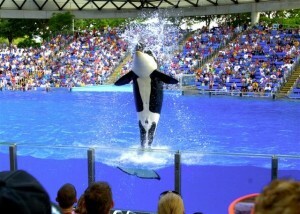 Located a short distance from the city, but a must for any visit to San Antonio is SeaWorld San Antonio. Formerly SeaWorld of Texas when it opened in 1988, it is the largest of the SeaWorld franchise and is still the world’s largest marine life theme park. The park is filled to capacity with exciting rides including the Great White, the first and still one of the most popular coasters in the park, the Steel Eel, America’s first and only “Hypercoaster”, Journey to Atlantis, and the wild river ride Rio Loco. There is also an area of the park dedicated to the kiddos. Seasame Street Bay of Play is an interactive play area specifically designed with the younger crowd in mind. Featured are “mini” thrill rides such as the Shamu Express; a coaster named for the most famous killer whale in the world and Elmos Dolphin Dive; a mini drop ride just like the one the bigger kids can ride! You are sure to work up an appetite while exploring the park so to help there are thirteen distinct eateries throughout. You can satisfy your cravings at the smokehouse; get a taste of the southwest at the Mexican grill. Refuel at the coffee house, or cool off and tame your sweet-tooth at the ice cream parlor or bakery. SeaWorld San Antonio is home to some of the most thrilling shows in the world including mystery theater where seals and sea lions are the actors and of course the world famous Orca or “killer whales” where the audience gets a chance to interact with the trainers. 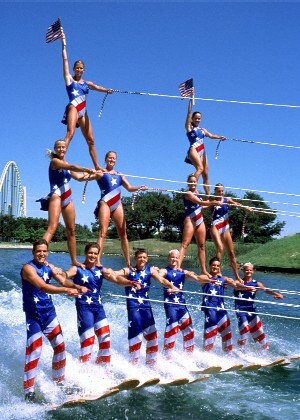 To be entertained by human performers, they offer a boat / water ski show or an exhibition of incredible skill from a professional dive team. For the more techno savvy there is a 4D movie experience. SeaWorld San Antonio’s ultimate goal is to educate the public about the marine life on our planet. To this end they have on exhibit some of the seas most popular envoys including an aviary featuring flamingos. The Penguin Encounter where visitors enter a winter wonderland to be face to face with the adorable penguins in a replica of their Antarctic habitat. The reptile exhibit is a favorite, featuring menacing crocodiles from around the world. The sea mammals exhibit with seals and sea lions racing through the water between feedings. Walk through the aquarium where you can marvel at the deadly and majestic shark, and gaze for hours at the behavior of the parks dolphins and beluga. Along the main thoroughfare, there is an arcade with hundreds of games. It is in this area that the special events such as Summer Nights where the park is open late and a spooky Halloween celebration get their start. Adjacent to the main park, there opened, in May of 2012, the newly designed and remodeled water-park with 8 thrilling water slides sure to soak you. There is no better way to stay cool in the heat of a Texas summer.